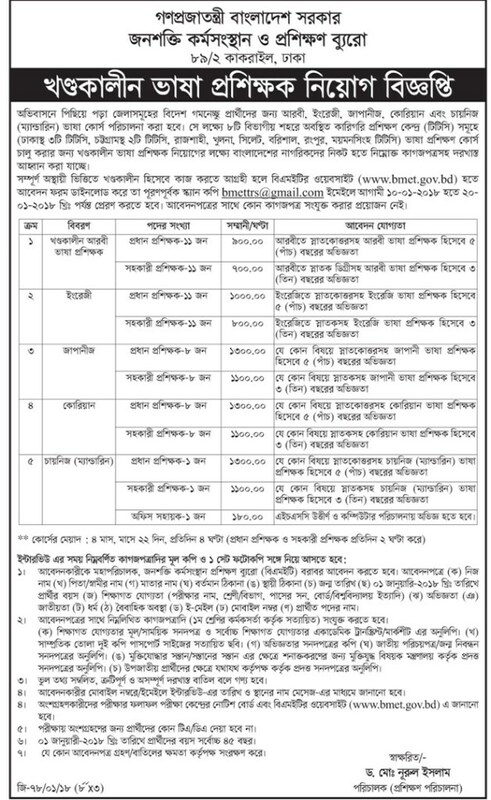 Bangladesh Bureau of Statistics has published a new Job Circular 2018 in the national dailies. Bangladesh Bureau of Statistics is a government organization for managing all statistics of works throughout the country. Recently, it is looking for new officer for their department. Details of the circular has been given below. Circular publication date: 08 January, 2018. Age Requirement: 18 to 30 years. Total number of vacancy: 71. It is a full time job and salary will be as per govt. pay scale 2015.